« Stepping down from the ledge of overwhelm. Can anyone become an entrepreneur? — Yes. Will everyone succeed? — Probably not. Entrepreneurs come in all shapes and sizes, but within each one there exists a set of fundamental qualities and characteristics that set them apart from the masses — what I like to refer to as the Alphabet for Women Entrepreneurs. This is not something that’s unique to men, but you will find that it’s a bit different for women. 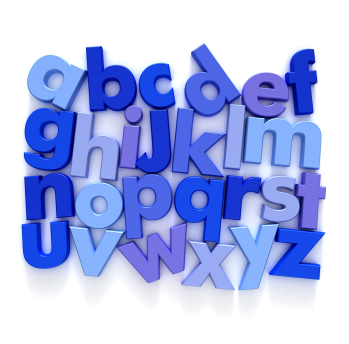 Over the next 14 weeks we will cover each letter of the alphabet and I will present my top picks. Feel free to share yours as we go along. My hope is that aspiring female entrepreneurs will gain a new perspective on what they have to offer the world. Just because it’s still a man’s business world in many ways, does not mean you can’t get out there and compete with the best of them. Let’s see how well versed you are in your A, B, C’s. This entry was written by Dr. Shannon Reece, posted on September 21, 2010 at 7:00 am, filed under Aspiring Entrepreneurs and tagged businesswoman, entrepreneur, start your own business, strategies for women. Bookmark the permalink. Follow any comments here with the RSS feed for this post. Post a comment or leave a trackback: Trackback URL. Looking forward to it ! It takes courage, determination, the ability to ask for help, great marketing and faith oh…. and a little bit of luck ! !